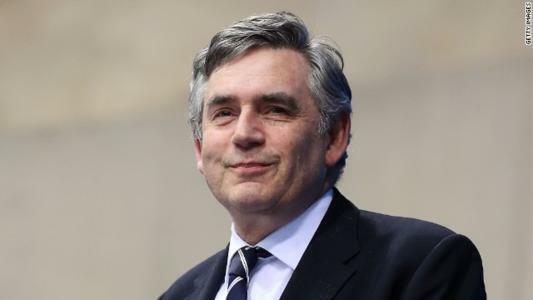 Gordon Brown, the UK's Prime Minister from 2007 to 2010, is to advise Partners Group on its sustainable investment strategy. The Switzerland-headquartered private equity firm has $78 billion worth of assets under management, $1 billion of which is kept in its PG Life fund, launched in March 2018. PG Life is an impact investment program with a "dual mandate to achieve attractive risk-adjusted financial returns alongside measurable, positive social and environmental impact". There are various ways in which the actual impact of such investment strategies is defined and measured. For Partners Group, impact investing through PG Life will involve "investing exclusively in line with the United Nation's Sustainable Development Goals (SDGs)", which include eliminating poverty and hunger as well as promoting clean and affordable energy. One such recent investment involved acquiring a stake in a German energy metering company. Brown, who was Chancellor of the Exchequer for 10 years under Tony Blair's government before replacing Blair as Prime Minister in 2007, has joined PG Life's advisory council where he will, alongside Partners co-founder Urs Wietlisbach and the ­former UN General Assembly president Vuk Jeremić, assess how the fund is meeting its goals. He is one of many high-profile politicians to have taken up a role in the private equity sector, following a well-trodden path down which such leaders as fellow former Prime Minister John Major, former US President George H.W. Bush and former French Prime Minister Francois Fillon have walked. Fillon's employment at Paris-headquartered alternative investments manager Tikehau Capital stands out for his level of involvement. He joined as an equity partner rather than the more typical advisory role and has reportedly been particularly active at the firm, not only travelling extensively to facilitate exchanges between Tikehau and various Heads of States, Ministers and sovereign wealth funds (including, allegedly, Abu Dhabi's Mubadala fund), but also taking on the responsibilities that come with having a stake in the firm.